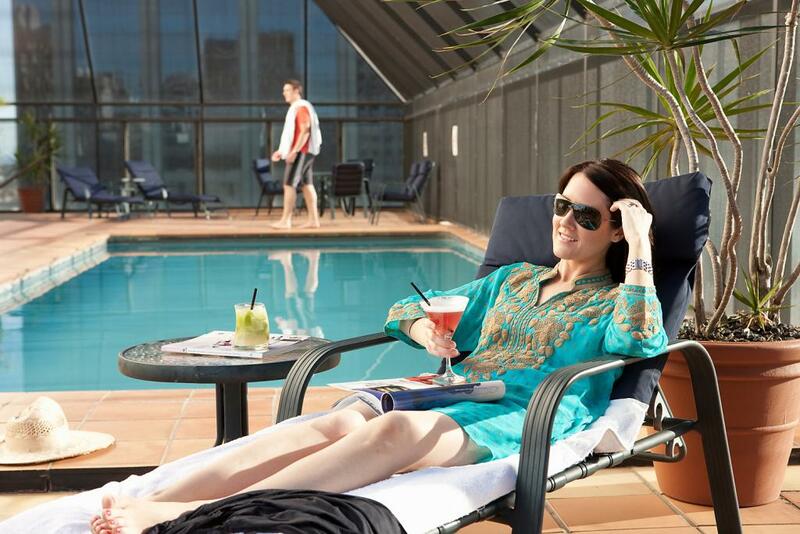 The Pullman Brisbane King George Square is located in the very heart of Brisbane's thriving CBD, making it the ideal Brisbane accommodation for the business traveller or holiday maker. This central Brisbane hotel offers guests a full range of hotel facilities including a restaurant, bar, fully equipped gym, business centre, WiFi internet and swimming pool. The Pullman Brisbane King George Square is part of Brisbane's largest hotel complex, featuring spacious and well appointed guestrooms with fresh vibrant colours mixed with the timelessly styled rich heritage wood furnishings. This Brisbane Accommodation offers fantastic views across the CBD, Brisbane's inner suburbs or overlooking the central courtyard. 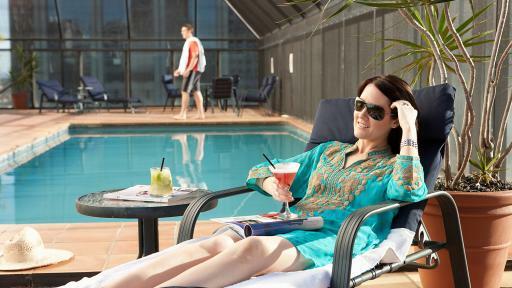 For a weekend escape or business trip to Brisbane why not stay at the Pullman Brisbane King George Square. The Pullman Brisbane King George Square offers spacious guestrooms with views across Brisbane's Central Business District, the inner suburbs and the hotel central courtyard. Deluxe Room: Featuring views of the inner-courtyard or Brisbane city, these rooms offer a marble bathroom with double vanities and combined bath/shower. Room size is 32m². Deluxe Balcony Room: Offering a furnished balcony with city or inner-courtyard views. The bathrooms are finished with marble and feature double basins and combined bath/shower. Room size is 40m². Executive Room: These modern rooms feature access to the Executive Lounge with additional benefits. Room size is 34m². Premium Corner Room: Recently refurbished, these spacious rooms offer stylish furnishings and work space. Rooms size is 36m². 1 Bedroom Spa Suite: Featuring fantastic views over Brisbane city, this suite offers a separate bedroom to the living area as well as a separate shower from the spa bath. Room size is 62m². Bistro Allure: A cosmopolitan dining experience in the heart of Brisbane City. Enjoy panoramic views of City Hall and King George Square. Open for breakfast, lunch and dinner, watch the Chef's cook up a storm in the open planned kitchen while enjoying the finest modern Australian cuisine. KG Bar: The vibrant KG Bar offers a seductive mix of edgy furnishings, groove music, delicious cocktails and tempting light meals. The perfect setting during and after work hours.